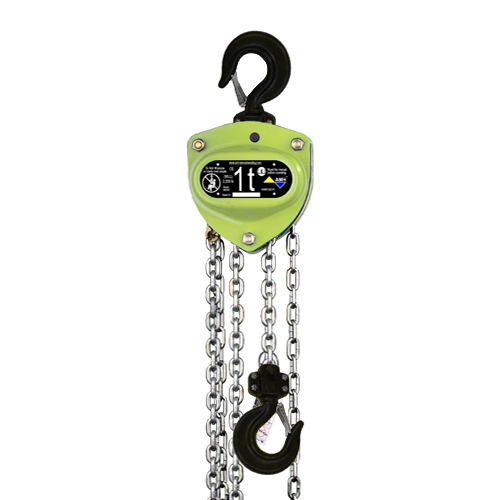 This is our new house brand of hand chain hoist, and for good reason! The MA series by AMH is packed with quality from top to bottom, and built to provide features that truly benefit the user. For starters, these hoists are assembled and tested right here in the U.S.A., and they are built using premium U.S.A. load chain--both of these features are exceedingly rare today! Premium Grade 80, zinc-plated alloy load chain is made in the U.S.A.